See more of this Covedale project here. Whether you want to go all in with a large screen and projector for the ultimate home movie experience, or you're happy enough with a wide screen TV and a comfortable couch, a space for movie watching is a great option in the lower level. In general,lower levels have fewer natural light obstacles than the upper floors, making them ideal for dimming the lights and making the room feel more like a theater. Shorter ceilings, and more sound cushioning walls also help create and acoustic environment perfect for surround sound. 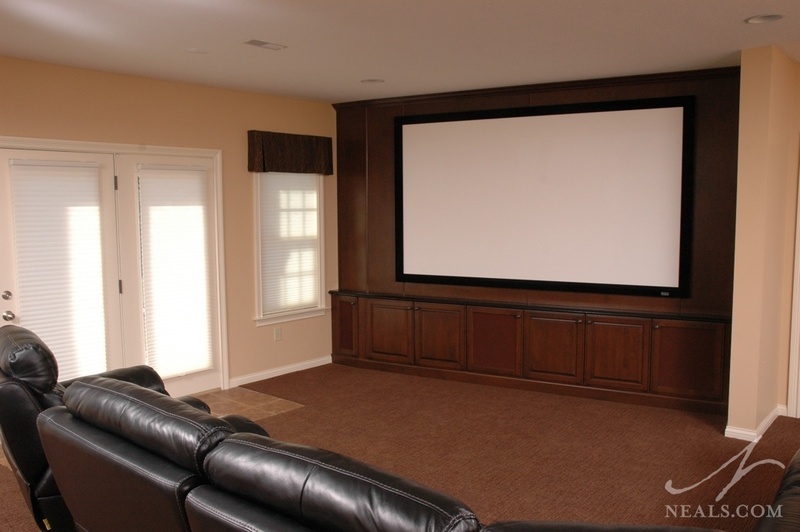 Having the home theater in the basement also helps when different family members want to do different things. The kids can be downstairs watching a movie while the adults hang out upstairs for drinks and conversation. See more of this Loveland project here. Speaking of drinks, including a kitchen feature in the lower level is a great option for maximizing the room's uses. 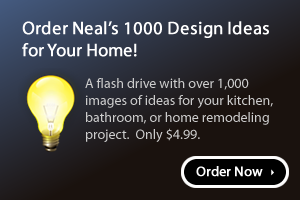 At the very least, a space with a sink and refrigerator will provide an easy go-to when everyone is downstairs. By also including other features of a functional kitchen, such as a microwave and dishwasher, the lower level kitchen can perform most of the tasks needed to prevent frequent trips upstairs during a party. These kitchenettes are often combined with a traditional bar counter and seating, and with storage space for wine, liquor and other bar-related items. 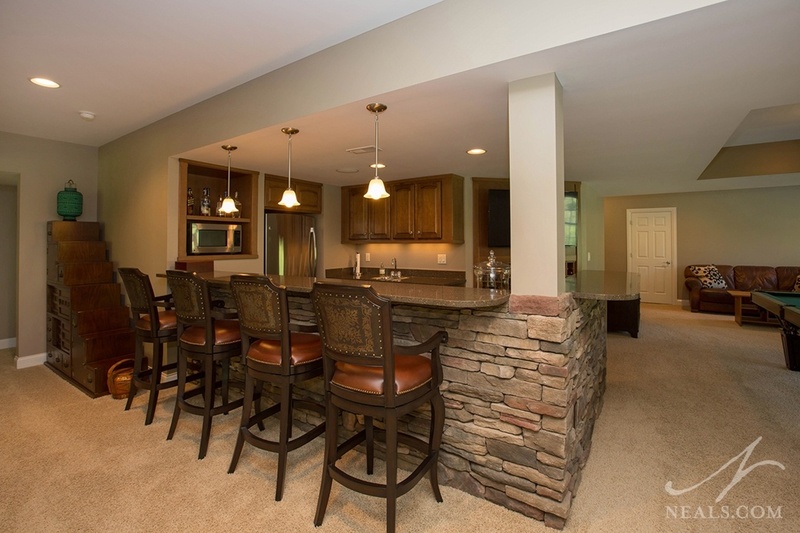 The basement home bar works in tandem with the other features we'll discuss, but can also be a stand-alone feature for an easy get-away spot in your home. See more of this Newton project here. The traditional pool table has been a fixture of the American basement for many decades. One reason is because the lower level typically offers a large enough open space to be able to play without knocking into things with the pool cue. Also, a classic, well-made billiard table can be quite heavy, so the solid foundation in the basement may be the safest place for it. 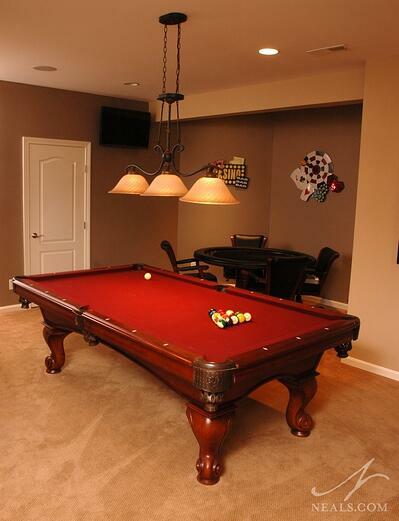 The basement game room can also work for poker night, ping pong, or even just playing Monopoly for family game night. Similar to the theater, having a space for these activities in the basement removes them from the more functional and calm areas of the first floor, and provides a chance to create a thematic space that's designed exclusively for leisurely recreation. See more of this South Lebanon projecthere. 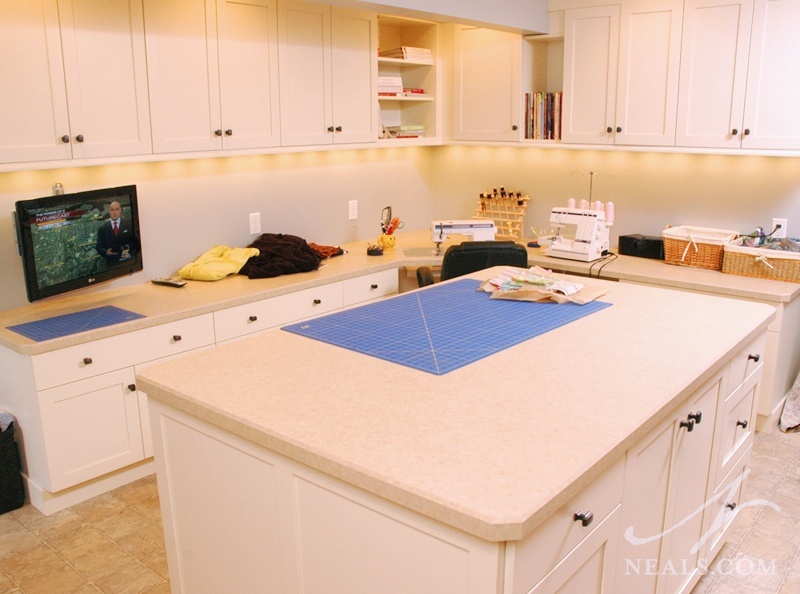 Maybe you enjoy being able to sew, paint or scrapbook without having your family poking through your stuff, or having to move it around upstairs to keep it out of the way. Maybe you have a hobby that requires a special environment that you need to be able to keep some control over. Whatever it is, carving out a space for your crafts and hobbies in the lower lever is a great option. In many cases, the basement's layout provides easily wall placement if this is a space you'd like to be able to close off when guests come over to use the rest of your lower level areas with you. Let's face it. Going out to the gym can be inconvenient. 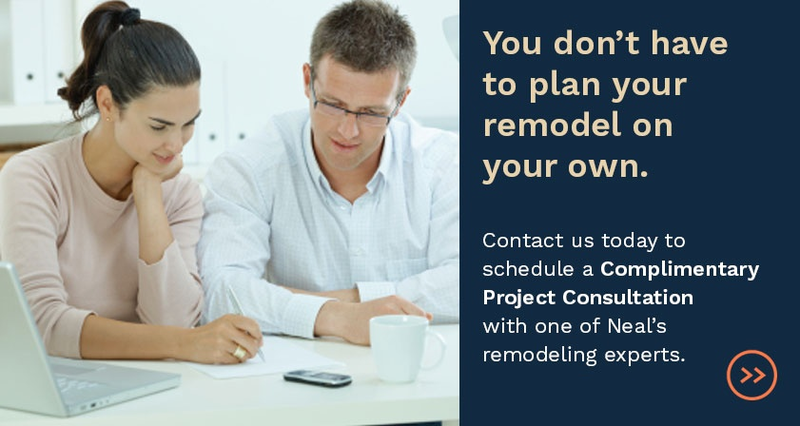 Luckily, your home's basement is already primed and ready to take on the task. 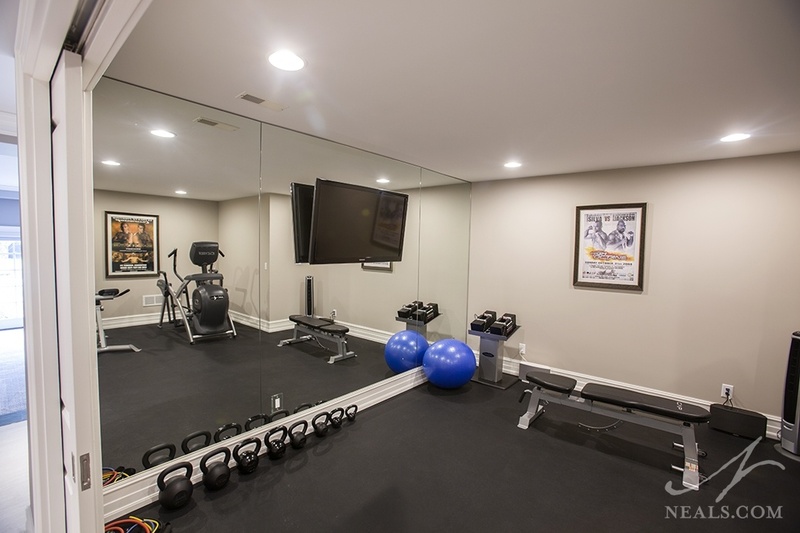 To be effective, the basic home gym really only needs good lighting, a mirror to check your form, and space for your equipment. Anything beyond that is mostly a luxury. Using a rubberized floor tile in the gym area can help prevent injury. Installing a TV and sound system is also a good option for watching videos to stay motivated, or to just keep yourself from getting bored during your workout.